What a difference the furniture makes! TC Millwork has just signed on for two more room renovations for this amazing project. Please see last link for drastic before images and finished woodworks. The completed kitchen; the oversize bell shade light fixture sheds light on the large central island. This entry was posted in TC Millwork on April 29, 2011 by pepperkeystacie@gmail.com. 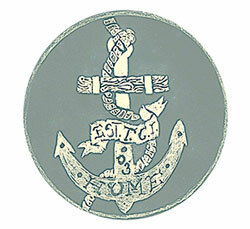 In March Tropical DMC planned Heather and Dan’s wedding in beautiful Chalk Sound. Most of Providenciales weddings take place on the North shore so this south side wedding was a unique departure from the norm. The ceremony was held in the often boat filled Taylor Bay. The brides parents hosted the reception at their newly finished spectacular home. Our congratulations to the super sweet couple! 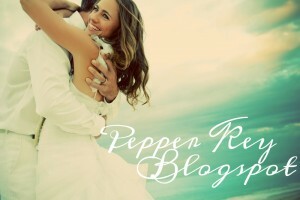 This entry was posted in Tropical DMC, Turks and Caicos Islands, wedding on April 27, 2011 by pepperkeystacie@gmail.com. Today is Easter Monday here in the Turks and Caicos Islands. Many faiths throughout the country have been celebrating for the last several days; at church, at home, on the beach, and on the water! I only wish we had a fraction of the enthusiasm for earth day as we do for Easter because both are more connected than one may realise. 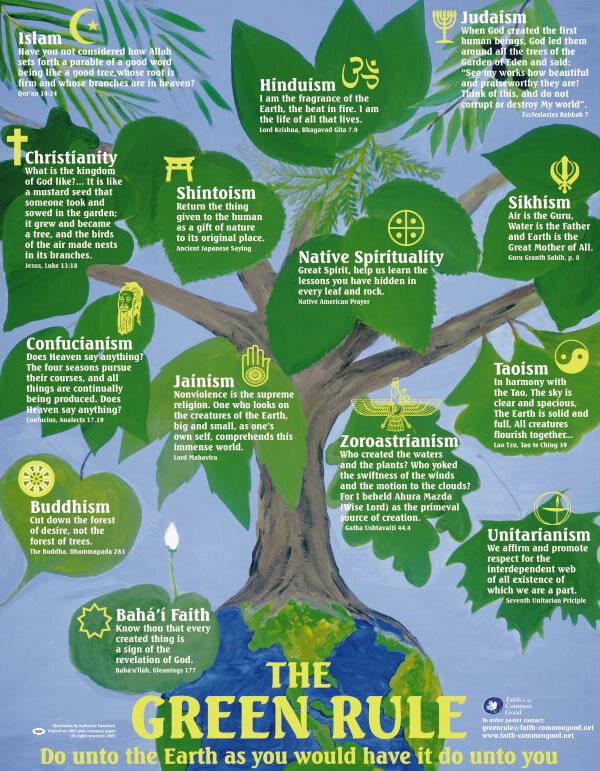 I like to think that faith goes hand in hand with environmentalism; taking care of the great gifts we have been given. Green Faith does too, please visit their website to learn more about how faith and protecting our planet are interconnected. Please click here to read more green biblical verses. 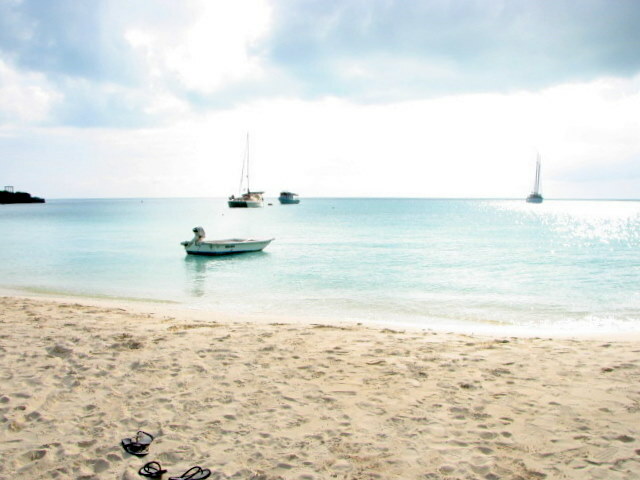 This entry was posted in holiday, Turks and Caicos Islands on April 26, 2011 by pepperkeystacie@gmail.com. What a happy earth day it was here in Turks and Caicos! The largest, most frequented retail grocer in the country made a giant leap forward. 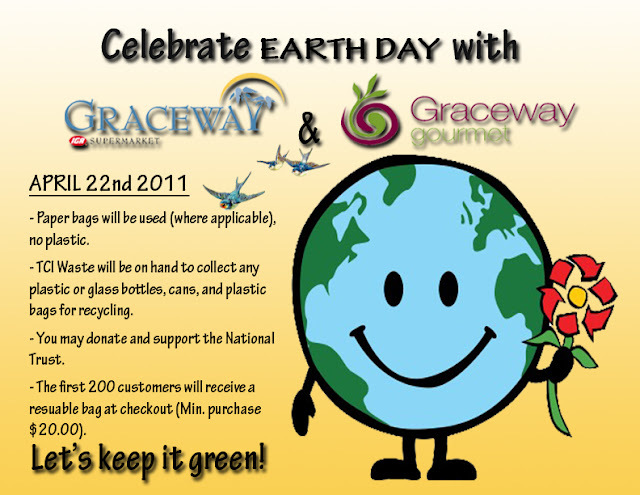 Graceway IGA and Graceway Gourmet proclaimed yesterday a day without plastic, distributing only paper bags and words of encouragement for shoppers to start using their own reusable bags. The first 200 lucky shoppers were given, free of charge, a reusable shopping bag for all future visits. Please see the ECO-ZONE April 21 segment (around the 11:15min mark) brought to you by PTV to watch the good news for yourself. 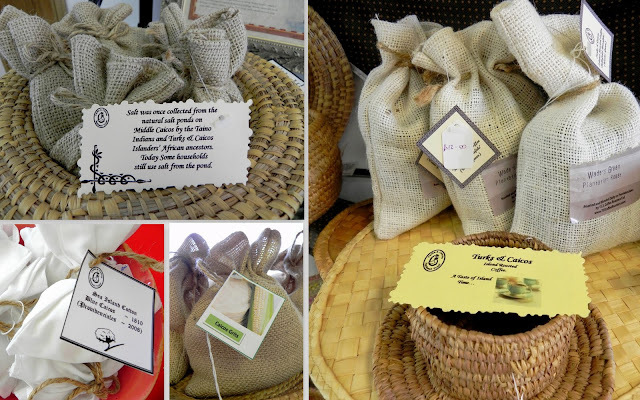 The TCI National Trust was also on hand to sell their wonderful selection of cotton bags. A fantastic selection of locally made and crafted products available at the National Trust boutique. 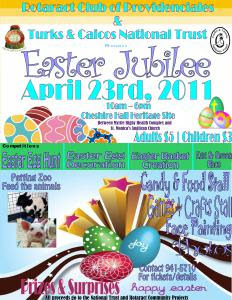 This entry was posted in holiday, TCI National Trust on April 23, 2011 by pepperkeystacie@gmail.com. 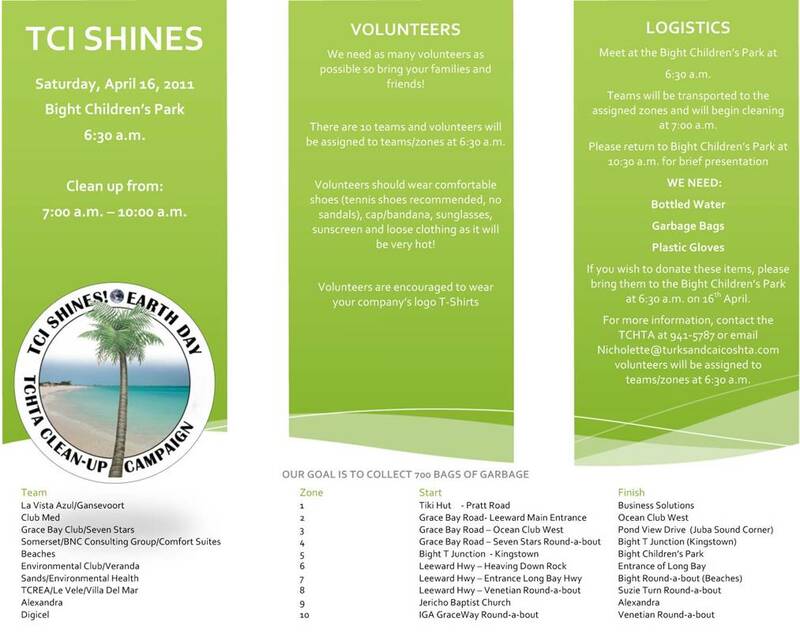 “Please Help TCI Shine All Year Long!” This was the TCI Environmental Clubs message for last Saturday’s clean-up. Big thanks to the artistic skills of several kids at the Edward C. Gartland Youth Centre. Much to my disappointment, after seeing 36 new volunteers sign-up at the Volunteer Fair and all 200 members of the TCI Environmental Club alerted via our facebook page, only ten of us turned up for this great initiative. Unlike last year, where the event saw far more partipants, we were unable to meet our goal of 700 bags collected. The good news is that for the very first time, we were able to separate recyclables from the litter, all of which was so generously collected by TCI Waste. Tomorrow is Earth Day, please get out there and Clean It Up and join our Campaign to Ban Single Use Plastic Bags in the TCI. Lynn Robinson and I made note of how many plastic bags we collected over the 3 hours and tallied over 150 plastic bags removed during TCI Shines with just the two of us! Please shop with thought and bring your own reusable bags, don’t use a toxic plastic bag designed to last over 1,000 years for ten needless minutes and then throw it away to pollute our environment. If you see someone littering in TCI, please educate them on why they shouldn’t. Let them know there will be a bottle deposit coming soon to a parking lot near them and to keep those beverage containers as they will be worth CASH! This entry was posted in Edward C. Gartland Youth Center, TCI Environmental Club on April 21, 2011 by pepperkeystacie@gmail.com.